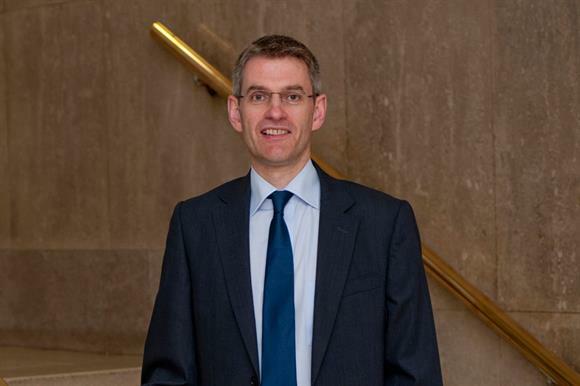 The language used in the charity sector to describe trusteeship, including the word "trustee", could be putting young people off taking on more senior voluntary roles in charities, according to David Robb, chief executive of the Office of the Scottish Charity Regulator. Speaking at a meeting of the All-Party Parliamentary Group on Charities and Volunteering in parliament yesterday, Robb said the charity sector needed to consider how it could make trusteeship, in particular, more accessible to younger generations and improve board diversity. "Even the very language we use here is not particularly appealing to the different generations," he said. "If we talk about volunteers who help run charities rather than trustees, we might improve the penetration in our target audiences. We do need to think about language, different ways in and a much more segmented approach to this." Helen Stephenson, chief executive of the Charity Commission, expressed support at the meeting for the idea of businesses allowing young people to have paid time off to volunteer at charities – something that was recommended in the recent final report of the House of Lords Select Committee on Charities. "I think this is an asset to employers as well," Stephenson told the APPG. "A lot of the top employers see social impact and social engagement as something that young people really value these days, and they are trying to offer that through their employment, which is why you sometimes get these really good pro-bono opportunities." She said she would like to see the commission use its "convening power" to support more paid time-off initiatives. Stephenson said she would also like the regulator to focus on helping trustees and ensuring they had the skills and support required to oversee charities. "There are 700,000 mainly voluntary trustees in this country, who are responsible for running 167,000 charities with a total income of £74bn and assets of £250bn," she said. "That’s a big task for a largely voluntary group, and I think we need to view the role of the trustee and the number of trustees that we have in this country as an asset and as a national treasure. I want to do more to help those trustees get it right, to run their organisations effectively and efficiently and to help them find the impact that our society needs." But Stephenson added that the Charity Commission was "incredibly stretched" because of budget cuts that had meant a 50 per cent fall in funding in real terms since 2010 and which prompted the regulator to repeatedly request a consultation on charging charities to fund its work. Robb said that although the OSCR was experiencing some funding cuts, it had not gone through a similar drastic fall in financial support. Had his organisation suffered similar cuts, "we might well have been asking the same questions", he said.